The area of Lake Atitlan in Guatemala is absolutely gorgeous. It is made up of seven main villages. There isn’t a huge choice of Lake Atitlan restaurants, and most of them are very expensive, but I did find a few gems that I really enjoyed. Here were my favorites on San Marcos and San Pedro, the two villages where I did most of my dining. If you are also headed to Antigua, make sure to check out my Guide To The Best Antigua Restaurants. For authentic Mayan food, go to Las Abrazon Mayan restaurant. 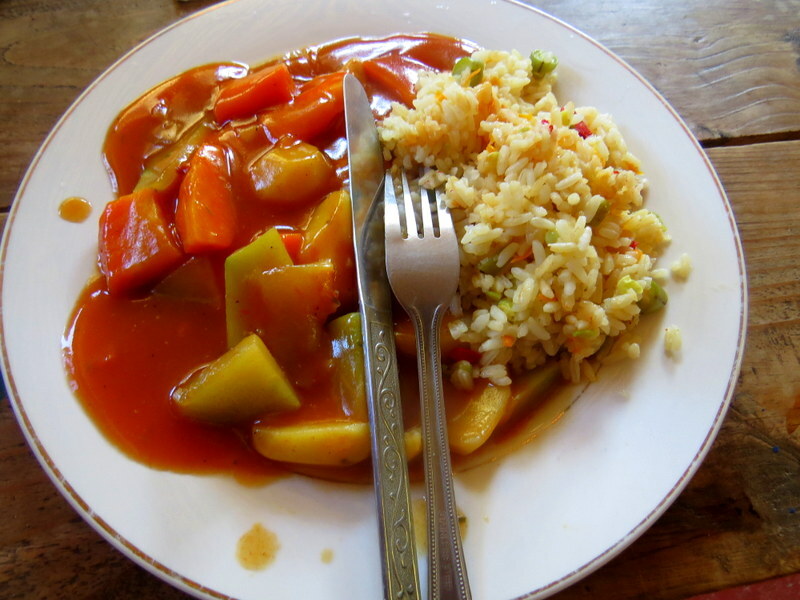 This restaurant had the most affordable prices of any of the Lake Atitlan restaurants. The service is very slow, as it’s made up of just two Mayan women, but it’s worth the wait. They serve pizza from a wood-burning oven at night. Il Giardino is a vegetarian restaurant and serves the best food in San Marcos. 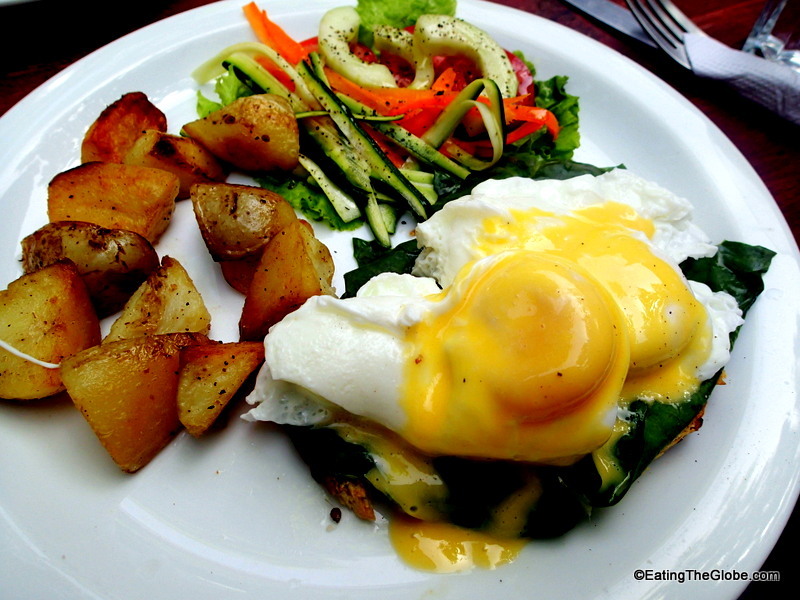 I loved the eggs Benedict variations in the morning. The veggie burger with beet pâté is incredible, and you shouldn’t miss the pizza that is cooked in the wood-burning oven at night. The desserts are decadent. Everything from carrot cake to homemade chocolates. The garden setting which is candlelit at night is peaceful, and Marc, the owner, is kind and provides excellent service, something I found sorely lacking at most of the other Lake Atitlan restaurants. Gypsy’s is a juice bar and used clothing store that also serves some food such as vegetarian chili and bagels. 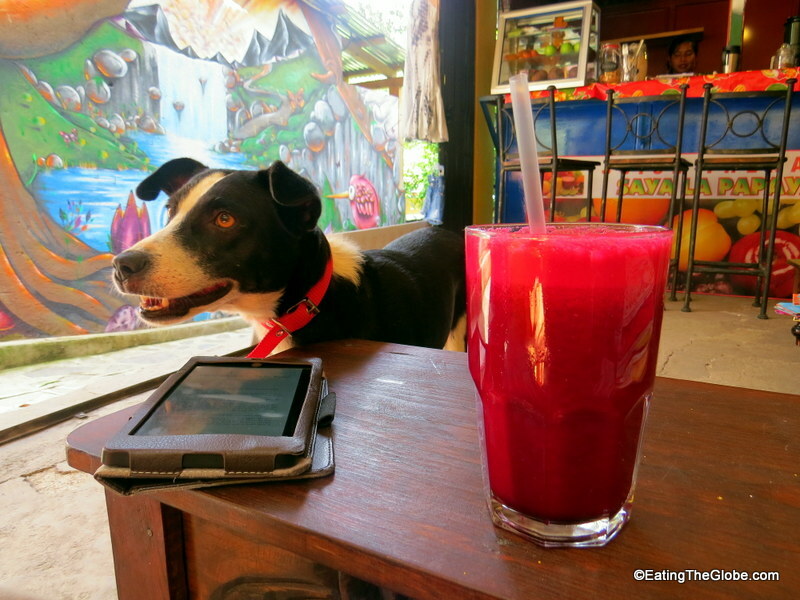 I stopped here every day for the beet, pineapple juice and to talk to the owner who was great. I also filled up my suitcase with clothes from her store. This is a great place to just chill out for a bit and relax. Ok, I admit, once I discovered the vegetarian restaurant Cafe Home in San Pedro, I didn’t eat anywhere else there because it was so good. The house salad is so fresh and healthy. The homemade brown bread is perfect. 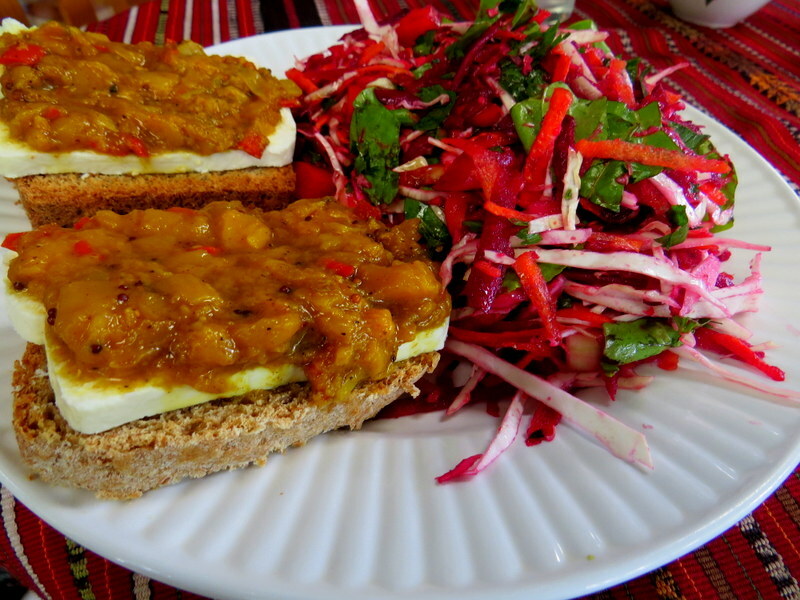 My favorite meal was the brown bread topped with goat cheese and mango chutney. I also loved their chocolate peanut butter bars and the kefir smoothies. 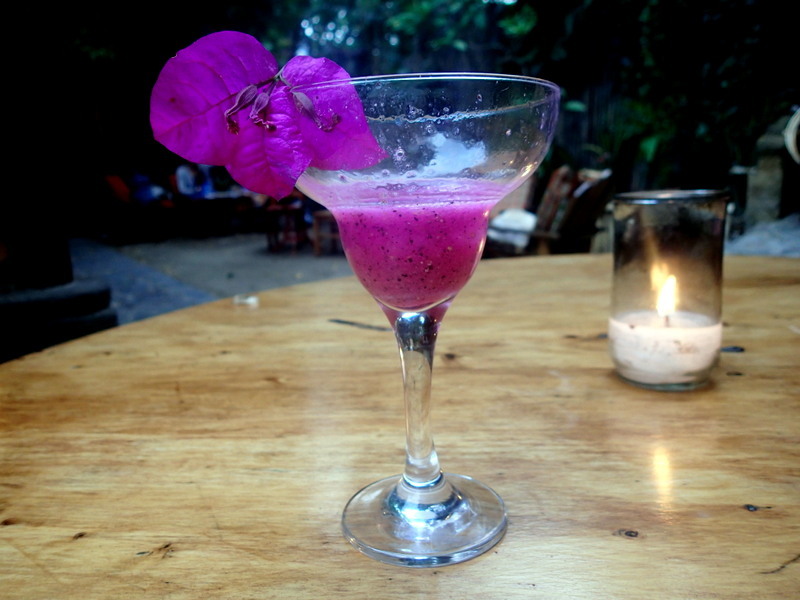 The garden setting makes you want to stay awhile, and the service is friendly and welcoming. If you liked this post, please help me by sharing it on social media below!